Whether you’re looking for adventure on the steppes or a hammock steps from the ocean, here are the best trips to take this summer. June 21 marks the first day of summer in the Northern Hemisphere, and vacation season is in full swing—with plenty of destinations to choose from, no matter your style or speed. To make decision time go as smooth as that beach side sangria, take a look at our list of 2018’s best summer trips. Cloud forest covers the mountains in Malaysia, on Borneo. Several countries—Malaysia, Indonesia, and Brunei—make up the island’s territory. Iceland is so much more than a quirky layover or winter Northern Lightssite. From May through June the midnight sun provides plenty of daylight hours for soaking in thermal pools, hiking on glaciers in Skaftafell National Park, and sidestepping tide-washed icebergs on black-sand Diamond Beach. In Iceland, mosquitoes don’t exist; the temperature hasn’t gone above 87°F since 1939; and the tap water, filtered underground through ancient lava fields, is some of the purest drinking water in the world. Spend the afternoon beside bubbling mudpots, the black basalt falls of Svartifoss,the magic mossy cascades of Skógafoss … and you’ll see exactly why most Icelanders still believe in elves. Skógafoss is one of Iceland’s most iconic waterfalls. Clouds skirt Mount Bromo, an active volcano in Java, Indonesia. Lebanon is an overlooked culinary destination. 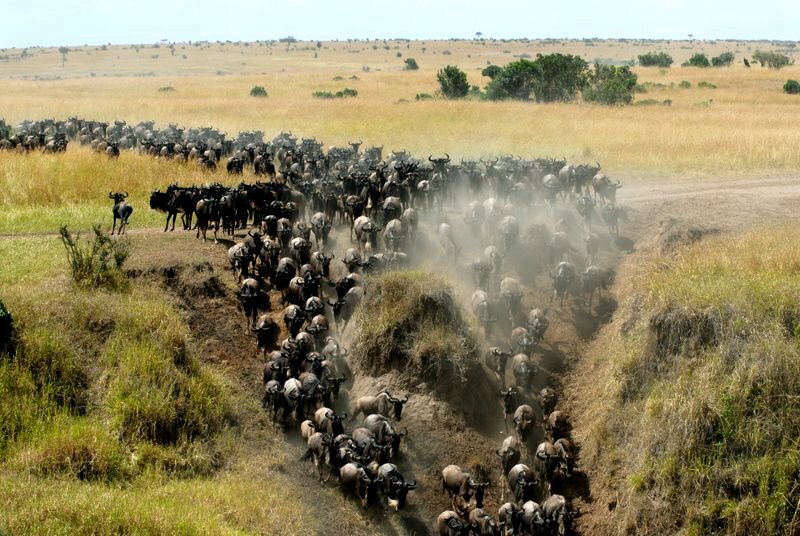 Late summer to early fall is the best time to see Masai Mara’s famous wildebeest migration. Wild horses graze on a Mongolian plateau. National Geographic offers an expedition that allows visitors to explore the country on horseback with local experts. Papua New Guinea is famous for its biodiversity, both on land and at sea. Peru’s traditional Inti Raymi festival climaxes on June 24. Iconic views—like this vista of Bridal Veil Falls—make Yosemite one of America’s most beloved national parks.